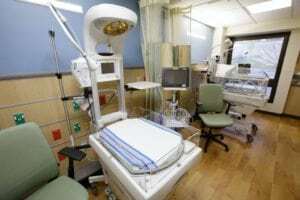 Funds raised through Children’s Miracle Network Hospitals at UF Health Shands Children’s Hospital are used to fund the most immediate needs of the hospital, such as medical equipment and renovations. One of these renovation projects is the Neonatal Intensive Care Unit. On Feb. 27, the UF Health Shands Children’s Hospital Neonatal ICU officially opened, unveiling a newly renovated space for our tiniest, most vulnerable patients and their families. Phase one, which focused on creating four patient care areas known as “neighborhoods,” was completed in November 2016, and construction on phase two immediately followed. Phase one of this project included adding 16 more patient rooms, both private and semi-private, family-focused areas, and a new “neighborhood” design, housing intermediate and intensive care babies in one contiguous space. The newest addition to the unit is a 1,000 sq. ft. space featuring a large family and visitor waiting area, sibling play space and family support room. 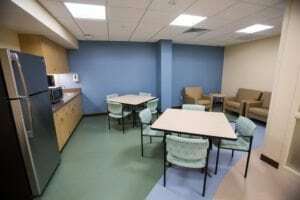 Equipped with a refrigerator, microwave, coffee maker, comfortable seating and lockers for belongings, this area was built to support families’ physical and emotional needs. 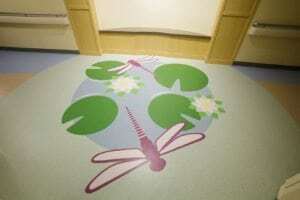 It provides resources to help them relax away from the bedside, but close to their infants. The sibling play space is monitored by trained volunteers, who help parents find relief when caring for multiple children at once. While parents are tending to their NICU baby, siblings can participate in 90 minutes of supervised play in the area, which is filled with toys. Funds from Children’s Miracle Network Hospitals contributed to both parts of the NICU renovation, including $1 million for new monitors. An additional $100,000 allowed for a new digital X-Ray machine. With support from Publix, Walmart, Southwest Georgia Oil, RE/MAX, Marriott, Dance Marathon at the University of Florida, Dance Marathon at Florida State University, Owlthon at Florida Atlantic University, and Extra Life, Children’s Miracle Network Hospitals contributed more than $2.4 million to support this renovation project at UF Health Shands Children’s Hospital. 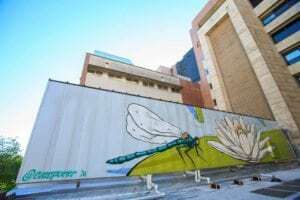 New art outside the NICU carries the same nature themes as the renovated interior.